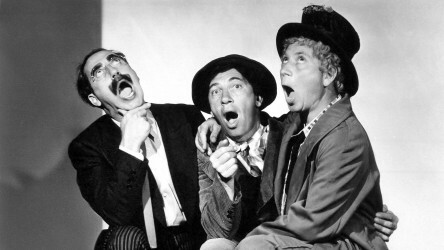 This anarchic comedy was the twelfth big-screen outing for Groucho, Chico and Harpo, and their first after a five-year absence from the movies. 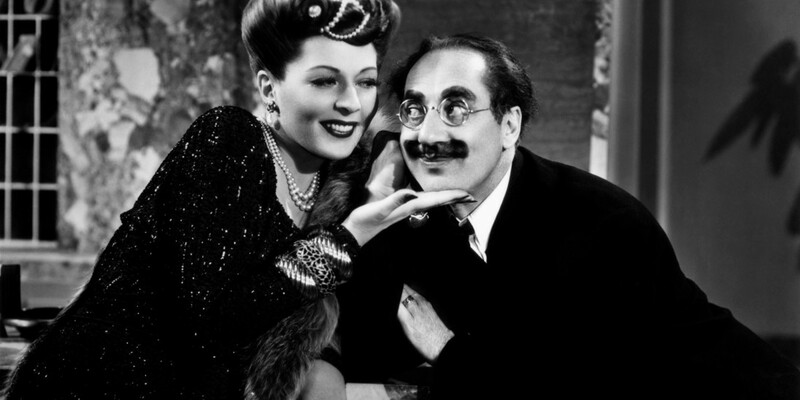 The plot is a demented whirlwind of Nazi spies and hidden treasure that serves as little more than an excuse to have Groucho (as hotel manager Ronald Kornblower) and Lisette Verea (as vamp Beatrice Rheiner) play out a series of sketches spoofing Casablanca and To Have and Have Not. 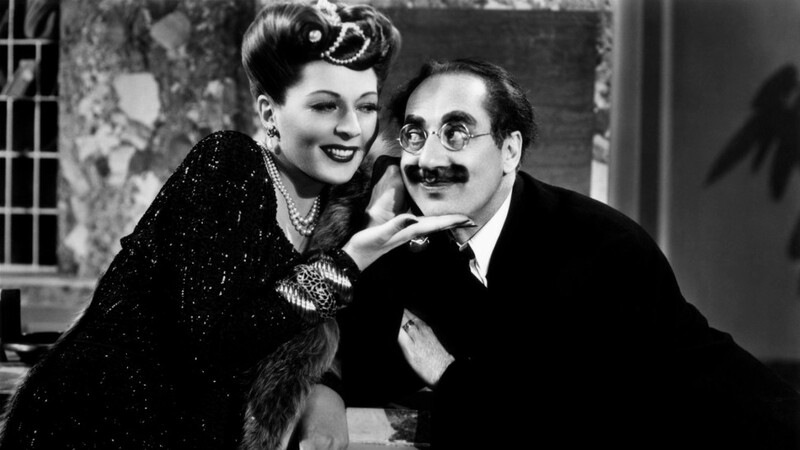 Probably the best of the later Marx Brothers films. 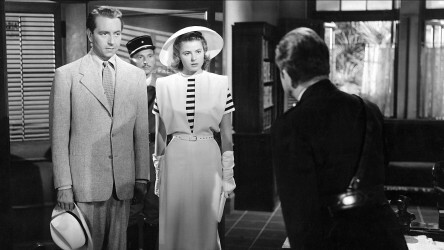 Against the backdrop of a Nazi-occupied North Africa an American expatriate meets a former lover, with unforeseen complications. 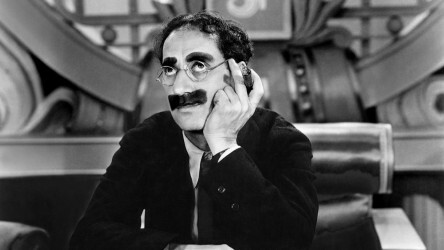 Hilarious and accessible Marx Brothers comedy which also works as a political satire. The perfect choice for your club's first black-and-white film.